The Resistible Rise of Arturo Ui is one of German playwright Bertolt Brecht's most famous plays. It is a satirical story mirroring Hitler's rise to power in the 1930's but set in the 1940's in Chicago. 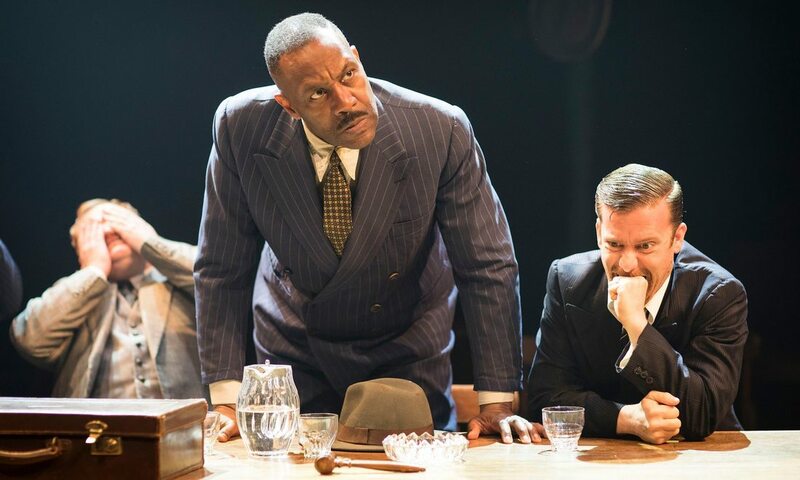 In the Donmar's production, (adapted by Bruce Norris) the theatre is transformed into a speakeasy, with people in the stalls sitting around tables that surround the stage. Arturo Ui is the Chicagoan Hitler, a small scale, inconsequential and power hungry gangster, desperate to see his name in the papers. Through bribery, force and threat climbs to the most powerful position, with an ability to 'dispose' of people who are against him. 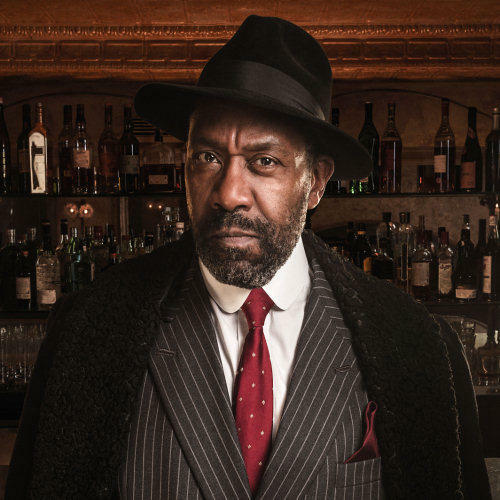 It is scary to think how quickly and apparently seamlessly the transition happens and how, in this production, the audience helped Ui (played captivatingly by Lenny Henry) gain his position. Throughout the interval, Ui's team of gangsters, Emanuele Giri, Giuseppe Givola and best friend Ernesto Roma ( who are the equivalent of Nazi Hermann Goring , Joseph Goebbels and Ernst Rohm respectively) mingle with the audience and ask us to raise a hand in a certain part of the following act or laugh on a certain line. Although amusing, it just goes to show how easily innocent people were involved with the Nazis, and how susceptible they were to be brainwashed ( demonstrated more powerfully in a later rigged election scene). At times members of the audience are dragged on stage to be a corpse or be a framed suspect of a warehouse fire (the fire of the 3rd Reich) and we laugh. But it again illustrates how anybody could be pinpointed by Hitler and identified as the enemy. Tom Edden plays a fantastically funny Weimar style announcer and the flamboyant actor who, when teaching Ui how to have presence as a leader, coincidentally teaches him the Hitler salute and famous goose step. The whole cast is absolutely wonderful with faultless performances throughout and they all deserve a mention. However, during the play there are continual referrals to Donald Trump, some incorporated slightly more subtly than others, like when Ui talks about the fake news. But some stick out like a sore thumb and seem rather out of place such as when Arturo Ui exclaims out of the blue that he is going to "build a wall" and promises to "make this country great again" with a banner and everything. Although quite funny, they do occasionally disrupt the flow of the play and distract from key moments. That said, it did not spoil my overall enjoyment of the show. It was an outstandingly performed and produced piece of theatre which was highly thought-provoking. An absolute must see. The Donmar have very well priced tickets. You can get standing tickets for £10 and although the designated standing area does not have the most wonderful view, you get what you pay for and you can always move around the theatre. It is also worth looking at the Young+Free Scheme that the Donmar have for under 26 year olds.